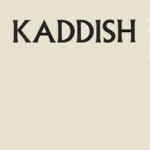 Categories: Kaddish | Tags: interpretive translation, North America, 21st century C.E., 58th century A.M.
Make the God-name big. Big and holy. Do it in this world, This creation sprung from consciousness, And bring some order to this. Do it fast, soon, in our lives, in the days ahead, in the life of the people we call home. Everybody join with me: May the name be blessed forever and ever! . . .